This week Cascais lived up to it's reputation as a favoured yacht racing venue by organisers and sailors alike. Sunshine, strong northerly breezes and the wild blue Atlantic delivered the goods for the opening event of the 2011 Audi MedCup Circuit. 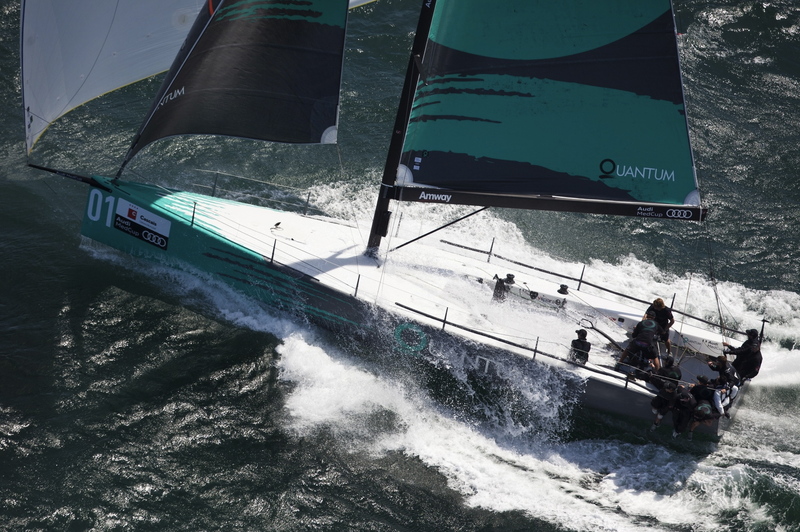 Winning the Cascais Trophy in their newly launched Botin Partners designed boat couldn't be a better result for new Quantum Racing helmsman Ed Baird and his crew who won five races from nine starts. 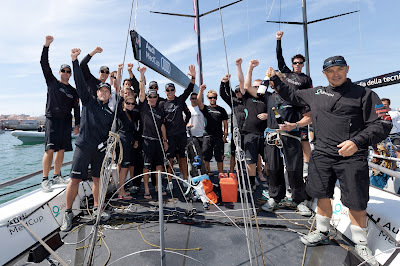 The crew got the boat pumping upwind and powered around the windward-leeward track that clearly favoured one side of the course. “The guys have done a great job figuring out how to make this boat go and obviously it worked out pretty nicely. We have a lot to talk about now and find a way to sail faster, there are plenty of things to do before the next event. We don´t know how the boat is going to act in light weather conditions, we haven’t experienced them and we don´t know how the rest of the boats are going to sail in such conditions, we´ll have to learn how to handle the boat as quick as we can," Baird said. "When it´s windy like that you have to be in the hunt at the first top mark, you have to be going fast down there, the other boats showed over and over again that of you got tangled up with other boats downwind, someone is going to come down from behind. It´s important to find that lane Adrian Stead and Kevin Hall did great guiding us in the racecourse, gave us great confidence and it worked out great." 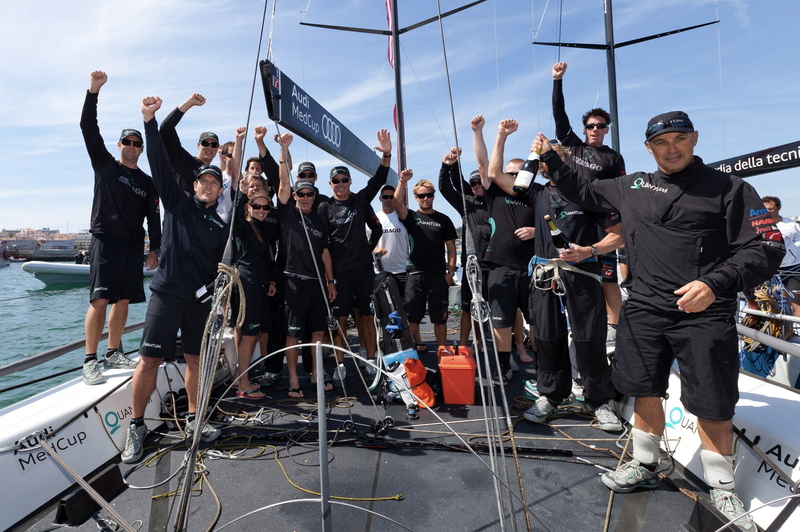 The team at the back of the boat including world championship winners Kevin Hall (USA), navigator, Ado Stead (GBR), tactician and mainsail trimmer Skip Baxter (NZL) provided valuable support to Baird, whose confidence grew noticeably throughout the regatta.